Lausanne (SUI), 17 October 2012 – FEI Secretary General Ingmar De Vos has just returned from a two-day visit to the Chinese city of Chengdu, where he addressed the fourth Chinese Equestrian Development Forum last weekend. High on the list of topics for discussion at the Forum and at separate meetings between the Chinese Equestrian Association and the FEI were the development of equestrian sport in China and the international movement of horses. Restrictions on the import and export of horses in China are still an issue and are the biggest barrier to the development of China’s equestrian industry. Mr De Vos proposed that the Chinese Equestrian Association, together with the FEI, undertakes initiatives with the relevant government bodies in order to address this. 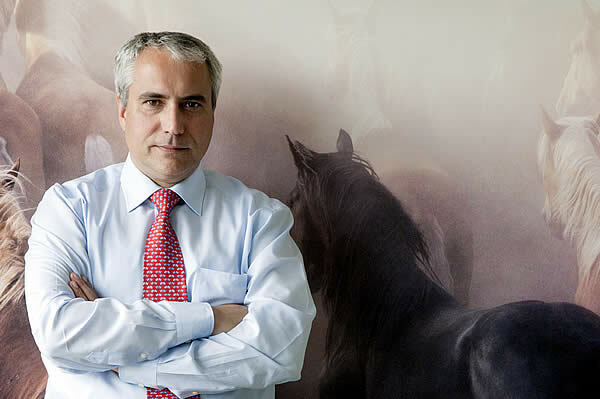 Once these issues have been addressed, “equestrian sport can develop to its full potential in China,” Mr De Vos said. Mr De Vos met with Dr Pan Zhichen, President of the Chinese Equestrian Association, together with the two Vice Presidents and the Secretary General of the National Federation. Mr Zhichen is also responsible for the sports of Cycling, Fencing and Modern Pentathlon in China. The Chinese Equestrian Association, as part of its development strategy, is planning to establish an International Equestrian Academy to train national officials and organising committees. The Forum was held at a newly constructed state-of-the-art racecourse, which includes full facilities for staging equestrian sport. Over 200 equestrian experts from countries including France, the United States and United Kingdom attended the Forum, which coincided with the FEI World Cup Jumping competition in Wenjiang, Chengdu. The Chengdu leg was run as part of the Chinese League, now in its second season in the FEI World Cup Jumping series.